Yes, that’s a lot of blues, but I find that the progressive color application gives a nice shading. I also chose to over exaggerate the colors. 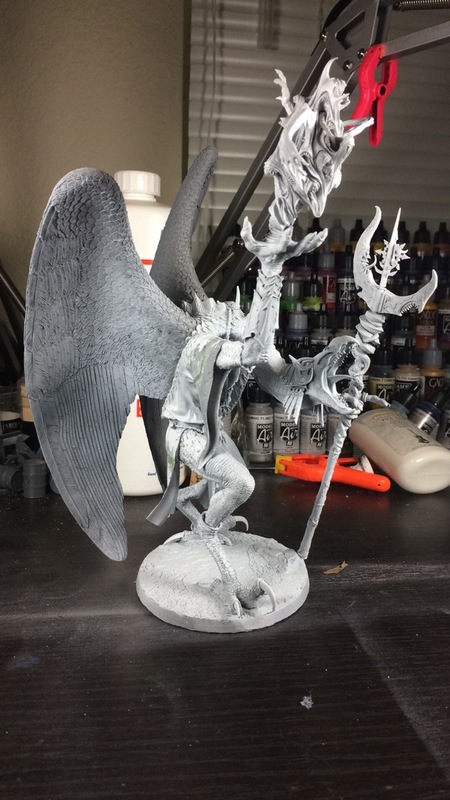 Painting instructors have always told me “more contrast” for miniature painting. I plan to apply a multi-tonal wash to the skin to add more depth of color, but it will also knock down the brightness a shade or two. 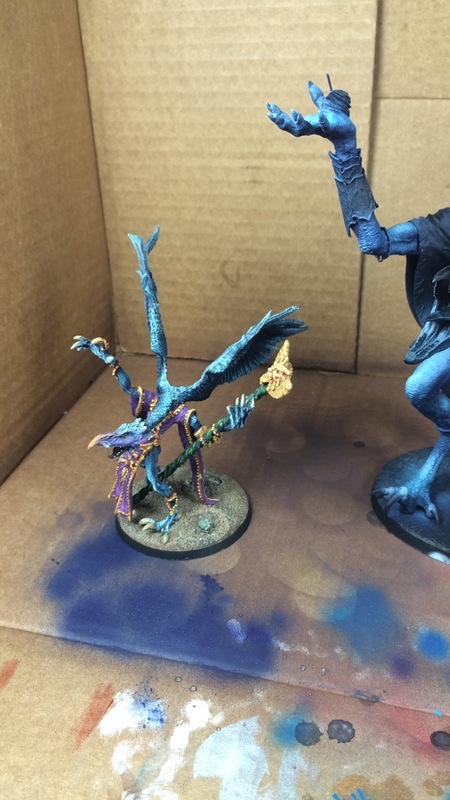 I decided to draw my color palette from this Lord of Change. 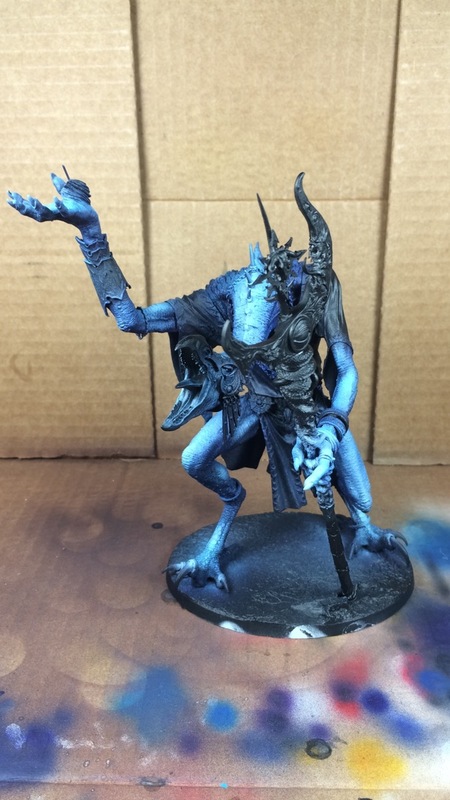 This entry was posted in Painting and tagged 40k, Chaos Daemons, Monstrous Creature, Organic, painting, Psyker by Peter Kelly. Bookmark the permalink. Looking awesome already! I always found its much easier to go darker, then to brighten up later. Going from light to dark (IMO) is a smart way to work, but then everyone has their own style! When I brushpaint, I start with a midtone and blend both up an down from there. It was how I was taught, and it works, so I stick with that. 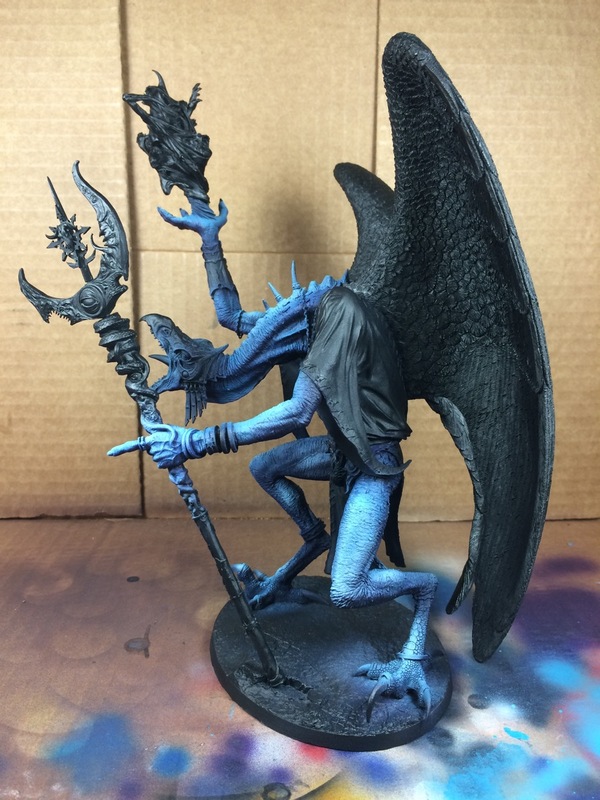 However, with the airbrush, I tend to really thin my paint if I’m going to layer a lot and I like the process of building up color. Probably, because it was how I learned. Funny how we have a realm of comfort that we like to live in. Looking great! i might need to lighten mine up some more! great looking stuff!